Note: This article was written before significant changes occurred in the marketplace in 2016. While it still explains how the system works, a more current account can be found here. Pulse-Width-Modulation (PWM) refers to a method for controlling the flow rate of fluids. How does it work? Does it have a fit on your farm? We explain in this article. Case Aim Command, Capstan Sharpshooter, Raven Hawkeye, and TeeJet DynaJet are Pulse-Width-Modulation (PWM) technologies, where a pulsing solenoid controls flow rate through the nozzles. 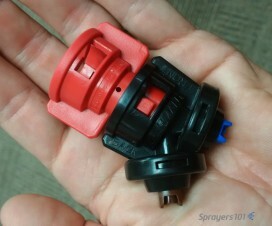 The solenoid is installed in place of the diaphragm check valve, and shuts off the nozzle flow for a split second exactly 10 times per second. AIM Command and Sharpshooter are made by the same manufacturer (Capstan Ag Systems). 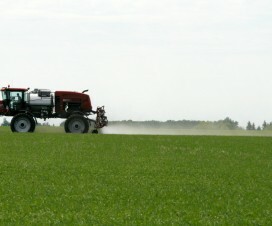 The Aim Command is tightly integrated with Case sprayer controllers and is available only on Case IH sprayers. The Capstan Sharpshooter is available as a retrofit with all other sprayers. The Raven Hawkeye is new for 2015. It is marketed as a user-installed retrofit that is CAN-bus compatible. The TeeJet DynaJet is not currently available as a retrofit. All PWM systems employs the duty cycle of a pulsing solenoid instead of spray pressure to control nozzle output. The pulse width, also known as the duty cycle, is the proportion of time that the solenoid is open, and can range from 10% to 100%, although 20% to 100% is more realistic. Duty cycle is closely related to the nozzle flow. Pressure (and droplet size) stays fairly constant throughout the duty cycle range. This means that a wider range of travel speeds can be used without any change in spray pressure. Pressure can still be changed if necessary, to control droplet size. If using ComboJet nozzles, use the Tip Wizard to identify the best nozzle. Select “Canada”, and “US gal/acre”. Select “Tip Wizard” on the left side of the screen, and choose “Blended Pulse System, Search for Tips”. Enter your information in the boxes. For example, 10 (gpa), 350 (µm, VMD), 15 (mph, max speed), 20 (inches nozzle spacing), 110 (degrees, fan angle). Always select 110 for use with Aim Command or Capstan. Click “Search for Spray Tips”. The pressure that matches your droplet size criteria will be highlighted for each nozzle. In this example, the SR11006 nozzle is highlighted at 52 psi, giving about 349 µm VMD. If you choose the SR11008, the pressure goes up to 73 psi to get the same droplet size, and your minimum and maximum speeds increase as a result. Note that the numbers are calculated and do not always agree exactly with published nozzle charts. Allow for some leeway, and double check with manufacturer flow charts to be sure you’re in the ballpark. If using TeeJet style bodies, use any wide-angle spray tip that is not air-induced. Good candidates are the TurboTeeJet, the TurboTwinJet, and the Hypro Guardian. Other pre-orifice flat fans can also be used. Also note that the system should not be used at very high pressures – about 60 psi max. Finally, pay attention to the pressure drop across the solenoids. The manufacturer publishes charts that show the drop at various flow rates. For a 11004 tip, the drop is about 3 psi. For a 11008 tip, it’s between 6 at 30 psi and 13 psi at 60 psi. Add these values to your rate controller pressure reading, i.e., if you want to spray at 40 psi, have the rate controller read 40 & pressure drop. Your expected average speed should be 60 – 80% of the maximum speed that the nozzle is capable of in these charts (100% duty cycle). For example, if you expect to travel 14 mph, select a solution whose maximum speed is 20 mph. This way, the system will be averaging 70% duty cycle at 14 mph (20 mph x 70% = 14 mph), allowing you to increase your application rate (or speed) by 30% where necessary (system moves to 100% duty cycle), or reduce your travel speed to 5 mph (system moves to 25% duty cycle). Slowing down further is an option, but a very coarse spray at low duty cycle may introduce skips under some conditions (low booms, fast speeds). This option also gives you maximum flexibility to change pressure to manage droplet size in both directions. Using a higher average duty cycle (say 80%) increases your flexibility to slow down, but limits your top speed more. The right nozzle pressure depends on the choice of nozzle. For low-drift tips such as the Wilger SR and MR, higher pressures (>40) are recommended to ensure the spray pattern develops fully. Drift remains acceptably low. The %<200 columns in the Tip Wizard is a drift index. It identifies the proportion of the total spray volume in droplets <200 µm. Use the number to compare drift potential of various nozzles and pressures, making sure you also pay attention to the %<600 µm column. When values in that column are subtracted from 100, the result is volume in droplets >600 µm, an indication of the volume in droplets that are possibly too large to contribute much to coverage or efficacy. It’s not easy to pick the best droplet size for each application because various pesticides and pests each have their own response. Typically, a Volume Median Diameter (VMD) ranging from 350 to 450 µm is ideal for most pesticides. Choose smaller VMDs for low water volumes, grassy weeds, and contact products, but use these only when drift is manageable. Choose larger VMDs for systemic products, broadleaf weeds, and higher water volumes, or when drift must be avoided. 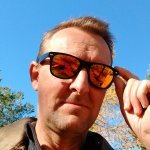 If you aim for 375 µm to start, that will be relatively low-drift and work well for most products. If using nozzles other than the Wilger ComboJets, the Tip Wizard is still useful for identifying the flow rate and pressure of nozzle that you need. The Tip Wizard’s droplet size feature will not be usable, and instead, reference to the specific nozzle manufacturers’ spray quality data will be necessary. 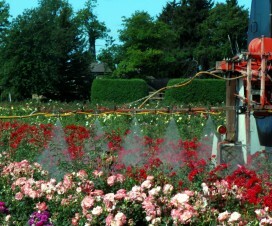 Choose nozzles that have a “Coarse” spray quality on average, and allow some movement into “Medium” and “Very Coarse” to suit a specific application need. Avoid “Fine” (not necessary for any pesticide, and too drift-prone) and “Extremely Coarse” (possibly insufficient coverage) unless specifically instructed by the pesticide manufacturer. Always select 110 degree nozzles, and do not use air-induced nozzles. Constant pressure (and droplet size) over a wide range of travel speeds. Ability to change droplet size with pressure adjustments on-the-go, without changing travel speed (depends on where you are in the duty-cycle range). Ability to change application volume on-the-go, without changing travel speed or pressure (again, depends on where you are in the duty cycle range). Instant response to shut-off, turn-on. Sprays at full pressure immediately. Does not drip. The new AIM Command Pro or Sharpshooter PinPoint allows for individual nozzle flow control. This enables nozzle-by-nozzle sectional control as well as turn compensation. Must keep water clean to avoid malfunctioning of tappet seal. Operator needs to understand system to take advantage. For example, at max travel speed (100% duty cycle), one cannot increase application volume or reduce drift by lowering pressure without first slowing down. Most flexibility is available at 70% duty cycle, and nozzles should be selected so that at average travel speed, system is near 70% duty cycle. Must use wider fan angle nozzles or higher boom height to get 100% overlap. The system’s primary purpose is to increase the consistency and accuracy of spraying by maintaining constant pressure over a wide travel speed range. It does not have a unique ability to reduce drift or water volume over a conventional system. A conventional nozzle system can still do a very good job. However, using a conventional system with low-drift nozzles often reduces the available pressure range by raising the effective minimum pressure, usually to about 30 psi depending on the tip. Since many sprayers cannot produce pressures over 100 psi, this limits the travel speed range (max speed:min speed) to about 1.8. The Aim Command system removes this limitation by using duty cycle, not pressure, to control flow.